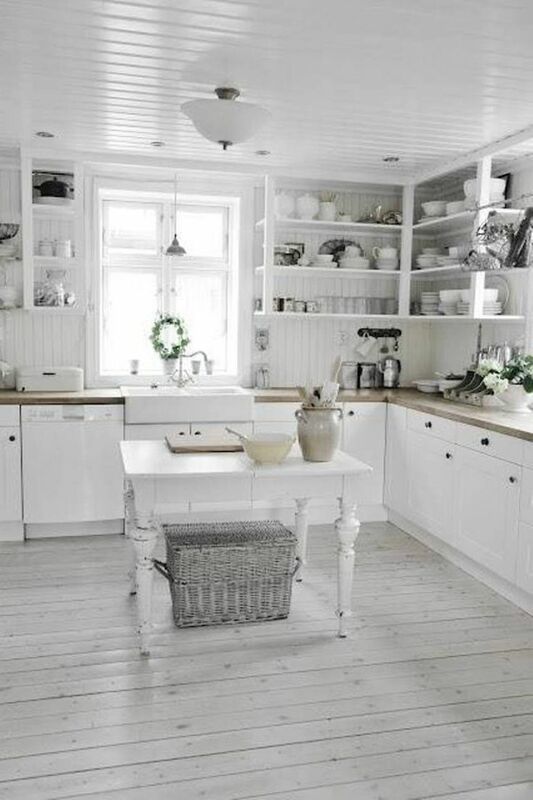 Shabby chic style is so charming, so beautiful and so cute! I think it’s rather girlish, too, so if you are going to decorate a feminine home, this style is perfect. Today I’ve rounded up some amazing shabby chic kitchens, and believe me, they won’t leave you indifferent! Go for light and pastel colors for décor as shabby chic means sweet and a bit worn vintage. Create your own shabby chic kitchen furniture – just take some vintage furniture, paint and sand it, and you’ll get a unique and personalized kitchen. Floral textiles and just sweet pastel ones are right what you need to finish the kitchen decor. Get inspired!